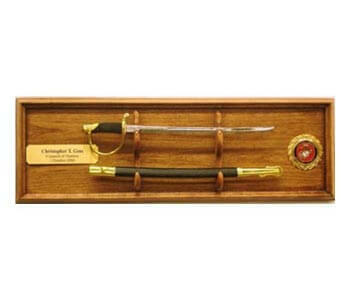 These beautiful hardwood cases will allow you to display your Military Officer sword, NCO Sword, or Navy Cutlass behind a glass door. 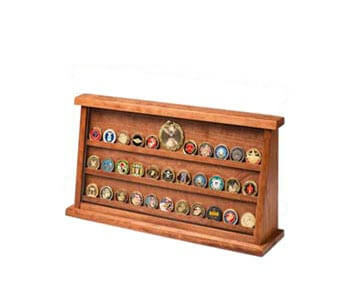 Each case is constructed using genuine Appalachian Black Walnut or Northeastern American Cherry, with a custom molded hardwood, hinged, door. 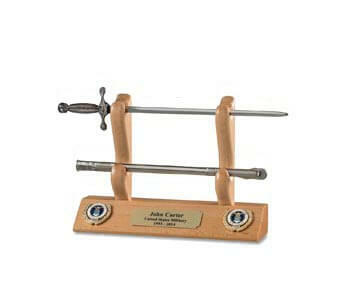 We select and mill the hardwood, carefully, miter the corners, and cut, and install hardwood splines, to strengthen the corners. 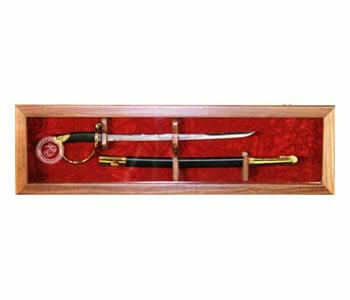 Hardwood molding is milled for the door, the glass is installed, and a hidden magnetic latch is installed. 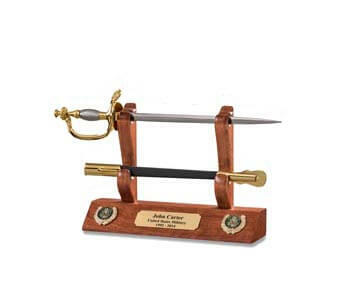 The hardwood Sword and Scabbard supports are crafted, and affixed to the back of the case. 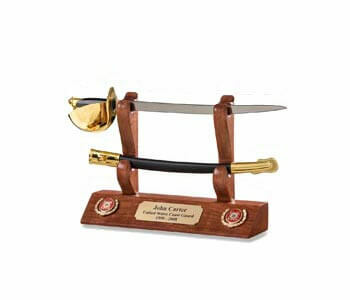 Each case is then carefully sanded and finished with furniture grade lacquer. 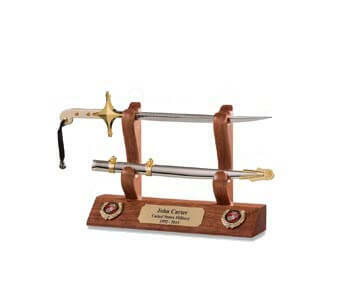 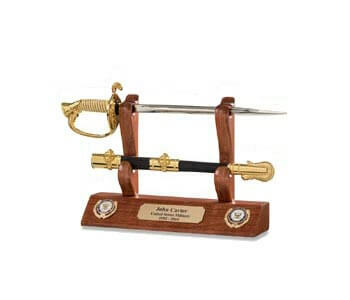 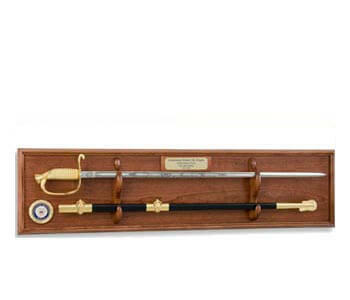 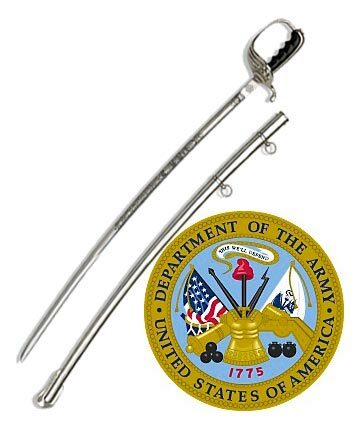 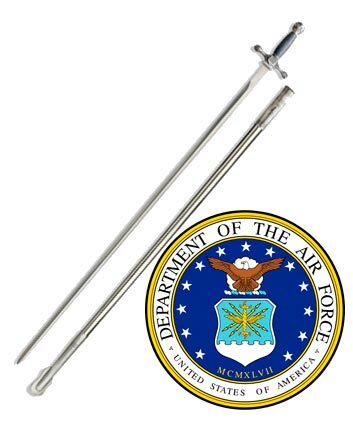 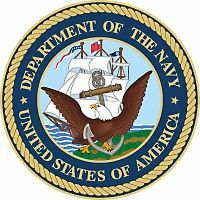 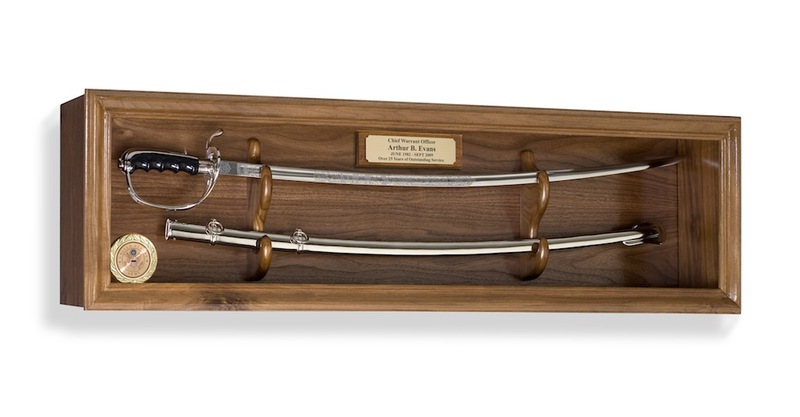 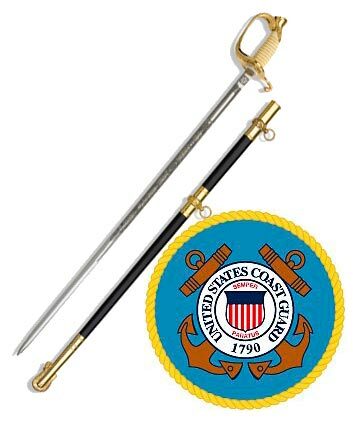 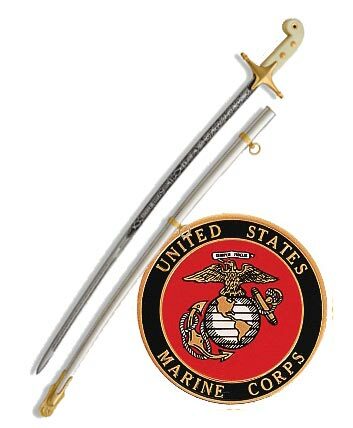 We are sure that you will be proud to display your military Officersï¿½ Sword, NCO Sword, or Navy Cutlass in this Custom Military Sword Display Case. 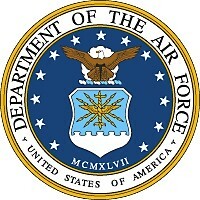 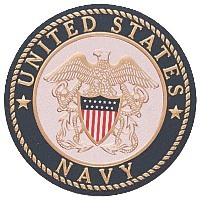 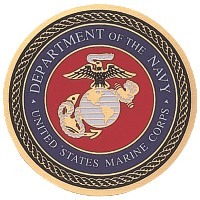 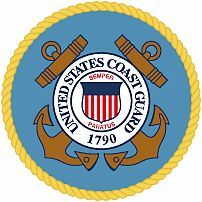 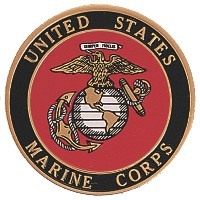 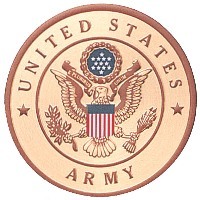 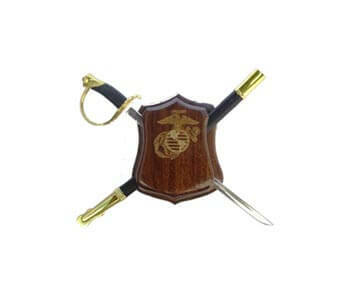 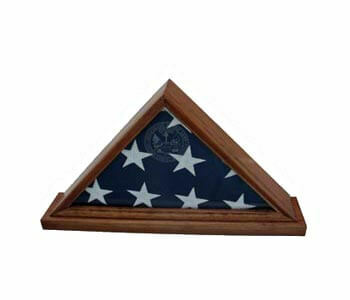 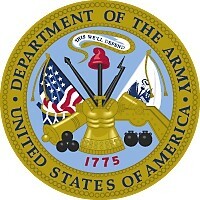 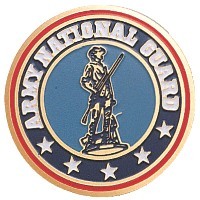 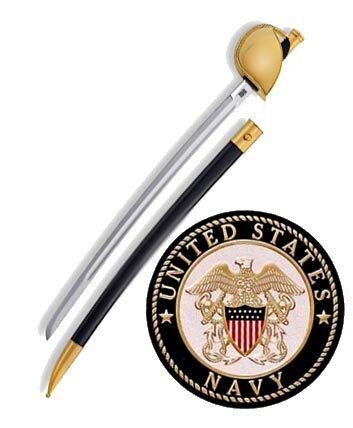 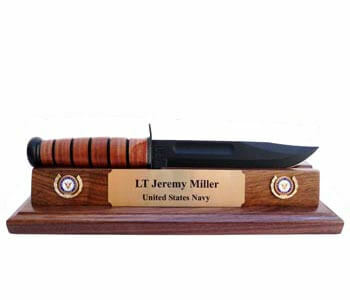 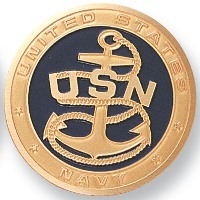 Each case includes a military emblem and a small custom engraved plaque is available.